From the Admin Dashboard, expand the "Fundraising Tab" and select "Donation Form" from the drop down menu. From the form on the right hand side of your page, customize the thank you email message your donors receive when they make a general contribution to your organization on GiveGab by adding personal message, thank you image, or video. 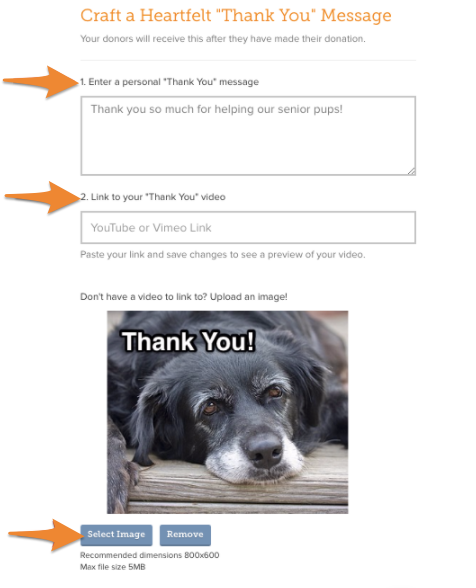 If you add a video to your thank you message it will automatically override any image you have added. Once you've updated this click "Save Changes" on the left side of the page.